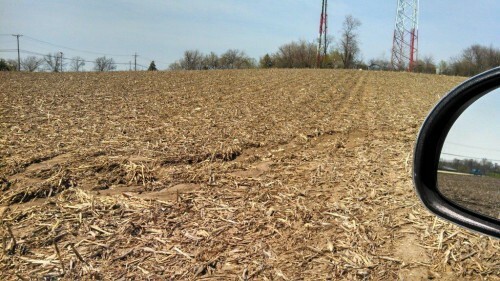 Berning credits an ambitious adoption of precision technology several years ago as key to preparing for his switch from broad-based tillage to strip-till in fall 2011. "I set a goal for myself that in 3 years, I would make the move to strip-till, and I remember talking with my trusted advisors and agronomist about what technology I needed to buy at the time for my planter row shutoffs to make strip-tillage happen, without wasting money on precision equipment," Berning says. "We came up with a plan and I pulled the trigger on $40,000 worth of precision equipment the first year and never looked back." When it came time to research strip-till units, Berning hosted a two field days and invited several manufacturers to demonstrate their equipment. He ended up purchasing a 12-row SoilWarrior strip-till rig made by Environmental Tillage Systems.The initial investment included OmniStar guidance, two Ag Leader monitor displays and SeedCommand row shutoffs on his planter, and Precision Planting's 20/20 SeedSense system to track planter performance. Warrenville, Ill., strip-tiller Steve Berning is a student of precision farming technology, and since moving to strip-till in fall 2011, he's tried to identify the best soils on his 2,000 acres through soil testing and yield mapping. "I was continuous corn, and what I like about the ETS unit is that it cut through those stalks after harvest, even in wet conditions," Berning says. 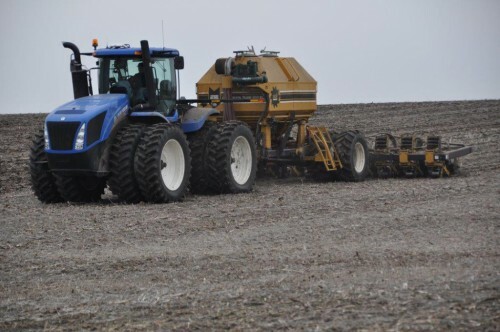 "RTK allows me to stay on the strips accurately and build a nice seedbed zone for spring, and I'm also able to precisely apply all of my phosphorus and potassium fertilizer in the fall and some 32% nitrogen in spring as I'm strip-tilling through the field." Despite thorough preparation and research, Mother Nature threw Berning a curveball in each of his first 2 years of strip-tilling, with extreme drought in 2012 and excessive moisture in 2013, which took a toll on yield averages. But Berning has seen other early returns from his strip-till system, including variable-rate efficiencies, seed savings, healthier soils and a more targeted approach to fertilizer placement in the root zone. Berning prefers to build fall strips soon after harvest, going anywhere from 5 to 13 inches deep - depending on soil density layers - and 7 to 8 inches wide. He runs a single 30-inch diameter cog coulter with 10 bits inserted to till the strip, followed by two smaller closing blades to contain the dirt in each row. Berning has two mounted steel dry fertilizer bins to variable-rate apply granulated phosphorus and potassium through a 1.75-inch-diameter hose injected behind the cog coulter, for optimum mixing of the dirt and fertilizer. For corn-on-corn ground, he applies an average of 250 pounds per acre of custom blend phosphorus and potassium, with the exact amount based on soil type. "We're blowing it down into the strip probably 8 inches into the soil from about 6 to 10 inches above the dirt level in each row," he says. "What I like about the setup is that I'm incorporating at least 90% of the fertilizer, and it's not lying on top of the ground. It's imbedded in the root zone and doesn't runoff with rain or blow away with wind. It's starting to mineralize in the dirt right away." In spring, Berning reconfigures his SoilWarrior, by swapping out the 30-inch cog coulter with two smaller wavy coulters to freshen up the strips ahead of planting. He also switches out the dry-fertilizer bins with a liquid tank to variable-rate apply about 20 gallons per acre of 32% nitrogen and 10 gallons per acre of a nitrogen stabilizer, liquid carbon-based fertilizer and a booster. Steve Berning strip-tills a field in Sugar Grove, Ill., for Galusha Farm last June. He runs a 12-row SoilWarrior, pulled by a New Holland T9 tractor. 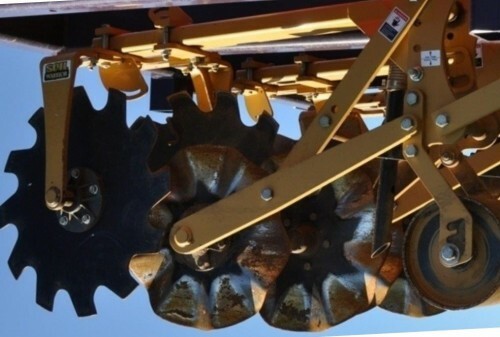 In spring, he reconfigures the SoilWarrior, by swapping out the 30-inch cog coulter with two smaller wavy coulters to freshen up the strips ahead of planting. He also switches out the dry-fertilizer bins with a liquid tank to variable-rate apply fertilizer. The fertilizer is applied through TeeJet spray nozzles 6 to 8 inches above each row, in front of the coulters, and Berning estimates that the fertilizer penetrates the soil zone up to 5 inches deep. He then sidedresses the balance of 32% UAN, in-crop. "We're intentionally feeding the microorganisms. The carbon-based fertilizer has a little bit of nitrogen and molasses that we're mixing in with our program to stimulate microorganisms," Berning says. "We are breaking down stalks and making those little microorganisms happy and we're getting healthier soil." While it's too early in his strip-till operation to see measurable improvement in soil organic-matter levels, Berning says initial field tests have shown better smelling soil, better soil tilth, quicker cornstalk degradation and reduced erosion. Another benefit of fall and spring fertilizer application with the strip-till rig is that Berning can better control equipment traffic in the field and reduce compaction. "In the past, I'd have floater trucks driving all over the ground in spring, which I hated. Now, I don't have that issue anymore with third-party trips over the field," he says. "When I make my fertilizer applications, equipment is going in wheel tracks between the corn rows, and the fertilizer - liquid or dry - is all being applied in the zone. I like having the flexibility to feed the soil just before planting because there's less risk of nitrogen loss and, overall, less risk of losing product in the field if I'm applying it four times." When first investing in precision technology, a concern for Berning was going too far, too fast. That's why he gave himself 3 years to experiment with the technology before moving to strip-till. In December 2012, an operator for Galusha Farms runs the Soil Warrior in a harvested corn field south of Somonauk, Ill. In fall, the strip-till rig features two mounted steel dry fertilizer bins to variable-rate apply granulated phosphorus and potassium through a 1.75-inch-diameter hose injected behind the cog coulter, for optimum mixing of the dirt and fertilizer. He's seen measurable results with row shutoffs on the planter through reduced overlap on his odd-shaped fields. "Taking my 24-row, 60-foot planter into my small, odd-shaped fields used to be a nightmare," Berning says. "When we'd overlap corn plants, we'd get nothing but grassy corn plants without ears, but now we're not losing that yield and saving 10% to 20% in seed costs." He also uses the Precision Planting 20/20 system and iPads in the tractors that pull the planter and strip-till rig to monitor row unit down pressure, which ensures proper depth and spacing. The Integra displays in both his in his New Holland T9 tractors with auto-steer, guides the strip-till unit on cellular RTK through MyWayRTK and a Verizon Wireless data plan. "Our goal is to be able to stay right behind the combine with the strip-till rig and be able to come back in spring and be right on those strips," Berning says. "What's important is paying attention to the fact that we're variable-rating our different amounts of fertilizer in different soil types on each farm." Through GPS soil-type soil sampling every 3 years, Berning is starting to get a better read on where to place fertilizer, seed types and populations to maximize yield potential. This year, he will overlay yield maps on top of soil-type maps to identify cost savings and yield improvements, based on soil type. The last 2 years have been difficult to evaluate because of the radically different weather that reduced corn yields. In 2012, Berning averaged 125 bushels per acre, and last year he saw 170 bushels per acre. "It could have been worse and we're believers that yields are really dependent on soil type," he says. "That's where we think strip-till and precision technology will help us get the best bang for our buck, and that's why we want to measure and manage our fields that way."